Women As Leaders — Jay Williams Ph.D. In her “Women as Leaders” workshops, Jay uses a holistic, integrative approach in her programming that provides tools, techniques, and real-time feedback, providing women with the skills to navigate this new corporate and personal way of living and leading. Her seminars, both informative and entertaining, have given many the insight to how the body, brain, heart, and global community are truly connected. The typical mistake in times that are stressful and full of challenging career commitments, is failing to manage your most valuable asset – yourself. Projects, deadlines, and personal and business commitments are made more challenging and difficult by self-neglect, self-sacrifice and depleted energy. To be on top of your game means never compromising your health. 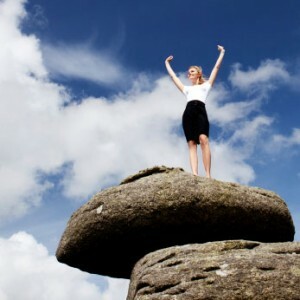 Your well-being is more valuable to you than any amount of money you can borrow or earn. INVEST IN YOU. Be true to your authentic self. Know what your strengths are and use them . Above all, don’t wait for time challenges to improve or projects to be completed before you start working on Project YOU. When you “backburner” self-care, there is a kind of “poverty” in your private portfolio, because you are lacking or not whole in some way….. Being whole and healthy helps you to be happy and 100 percent available and positive in what you do. Committing to a hormone specific exercise program improves your mood and your confidence. Following a “defined” diet improves your energy levels helping to leverage your time. Getting regenerating sleep minimizes exhaustion, improves your immune system decreasing sick days, and improves the parts of your brain that influence creativity, memory, and depression. Reducing stress is key to all of the above. An “on demand” technique for controlling your bodies and brains reaction to stressful events is mandatory! Recognizing your true and authentic self and showing up in that way garners trust and facilitates connection in both your personal and business lives. 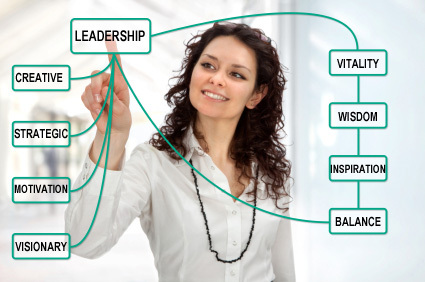 We are a resource center for women – women as leaders in all dimensions of life! 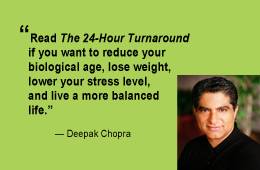 Grounded in science, combined with lifestyle interventions – the 24 Hour Turnaround Program unites technology, neuroscience, psychology, and tools from ancient traditions as well as wisdom from various cultures and their elders, producing immediate and measurable results. 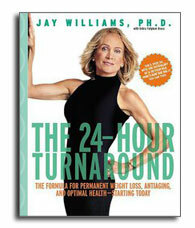 Under the direction of Jay Williams, PhD. Sign up (sidebar) to receive information on Women’s Leadership Workshops. “You have been telling the people that this is the Eleventh Hour. Now you must go back and tell the people that this is the Hour. And there are things to be considered. Where are you living? What are you doing? What are your relationships? It is time to speak your Truth. Create community. Be good to each other. And do not look outside yourself for the leader. There is a river flowing now very fast. It is so great and swift, that there are those who will be afraid. They will try to hold on to the shore. They will feel they are being torn apart and will suffer greatly. Know the river has its destination. The elders say we must let go of the shore, push off into the middle of the river, keep our eyes open, and our heads above the water. And I say, see who is in there with you, and celebrate. At this time in history, we are to take nothing personally. Least of all, ourselves. For the moment that we do, our spiritual growth and journey comes to a halt. Banish the word struggle from your attitude and your vocabulary. All that we do now must be done in a sacred manner and in celebration. Let the sun shine out from within your soul. Others will be inspired by you.